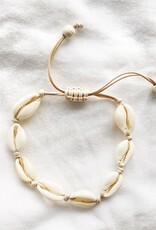 The latest accessories trend is definitely seashell jewelry! 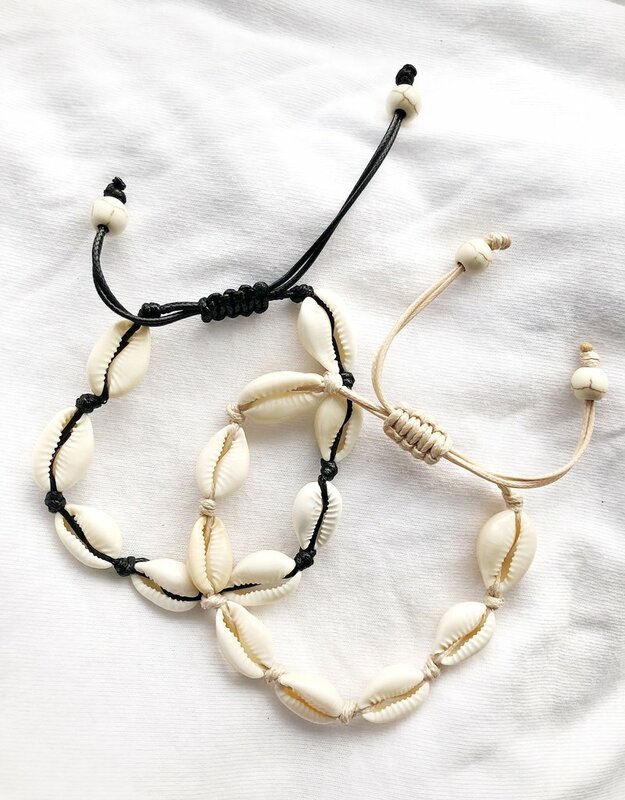 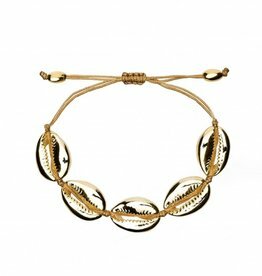 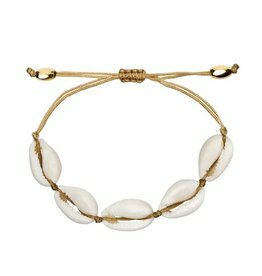 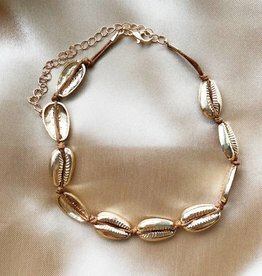 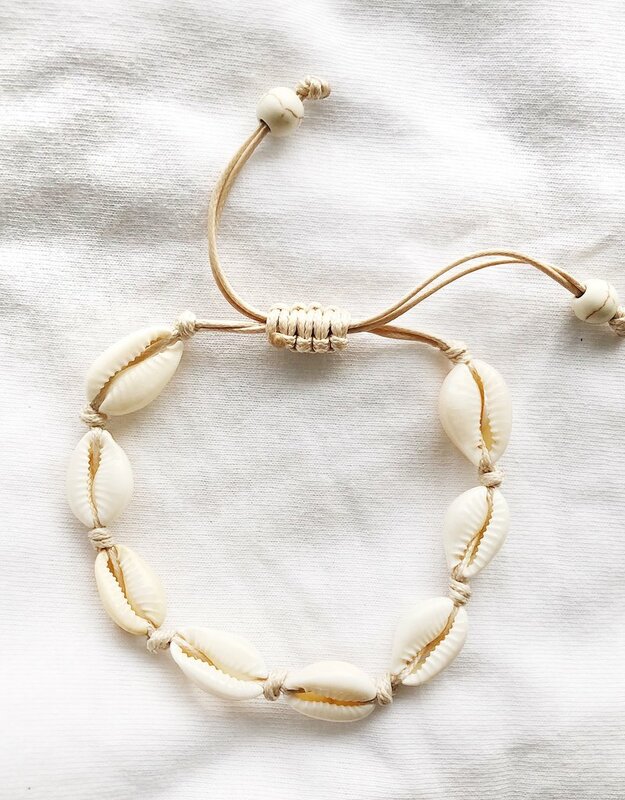 Our White Malia Shell Bracelet features cute faux seashells and has a beige / light brown string which is adjustable. 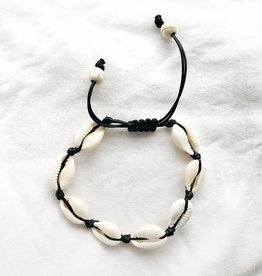 Perfect to complete any look! 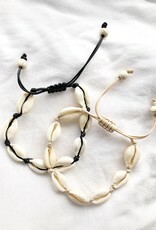 Also available with black string.